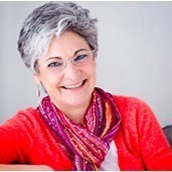 Sara Speer Selber, Founder of The Project Management Team, has more than 35 years of experience managing people and organizations for excellence and success. Her career with for-profit and non-profit entities has been characterized by entrepreneurial innovation, and has been recognized repeatedly by professional and community groups for her business achievements and many contributions to the welfare of others. An accomplished networker, Sara combines her considerable communication skills with an extensive resource of business and community leaders to bring people together to address mutual needs and shared opportunity. In the aftermath of Katrina, for example, Sara was able to marshal ad hoc groups of Houston citizens that reached across racial, cultural and geographic boundaries to respond to families in need. She has also been described as a “Visionary who is always on the go and never stops learning so as to share her world with those who wish to think or act differently”. In fact, the mother of two Gen Y’ers, Sara much to the dismay of her peers, was one of the “early adopters of social media”. Her first consulting firm, Selko and Associates, developed and implemented successful capital campaigns for numerous non-profit organizations. Clients sought the firm’s counsel on development revitalization, marketing plans, volunteer retention and recruitment, management and board team-building, strategic planning, and leadership development, all skills that would transfer to later work at for-profit entities. After five years with Selko, Selber was recruited to be Chief Executive of AIDS Foundation Houston (AFH). When she joined the organization, AFH had a $1 million operating budget, with a looming deficit of $300,000. Seven years later, the agency operated on an annual budget of $6 million and a $1 million cash reserve and over 6 million dollars in real estate assets. Through innovative management techniques, collaborations and the recruitment of an active and engaged Board of Directors, AFH was acclaimed locally and nationally. Sara left AFH to become president of the Dynegy Foundation and was the driving force behind the Corporate Social Responsibility programs, which were aligned throughout every business unit. Sara conceptualized and implemented innovative programs that extended the Foundation’s $750,000 philanthropic investment to a $4.5 million dollar donation to community organizations during the company’s toughest financial times. The PM Team has quietly and from behind the scenes, facilitates and helps groups conceptualize and implement new business models, collaborations and communication strategies, which yield a high impact result for those wanting to experience change. Projects such as The NFL Super Build, Lemonade Day, Build Clean, Care2 Spin and Tet Fest Houston have established Sara and her firm as the “go-to” for projects that create community impact, positive Corporate Branding and employee and community engagement. Today, Sara is a trainer and Executive coach. She spends her free time in her kitchen baking goodies or cooking and delivering meals for those that just need some extra love. Sara is well known for her public speaking where she has been called one of the most inspirational, humorous and thought provoking speakers one can engage. Sara Speer Selber has received numerous awards, including The Shelby Hodge Woman of Vision Award, Woman on the Move, Inside Houston’s Twenty Five Most Powerful List, NCCJ Hanna Solomon Woman of the Year Award, 002 Magazine CEO of the Month, AJC Max Nathan Award, The Sri Sri Ravi Shankar Award for Uplifting the Human Spirit, Houston’s Fifty Most Influential Women, The Jewish Federation’s Young Leadership Award and Writers In the Schools Free2Be Award. She is a Sustaining Member and Community Advisory Board Member of the Junior League of Houston, A Graduate of Leadership Oklahoma City, A Senior Fellow of the American Leadership Forum and a Graduate of The Center for Houston’s Future.